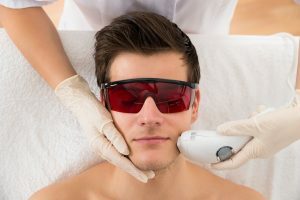 One of the best techniques for reducing hair on the face and body is advanced Light Based Permanent Hair Removal. This can be done by laser and IPL. This procedure is easy, quick and highly effective. My Skin Clinic is one of the leading hair removal specialists in Islamabad. We use the latest technology medical grade light therapy, which means highly effective results. Our Intense Pulse Light hair removal specialists have personally been trained by Dr Hussain to ensure a uniform high quality light based hair removal. Our light based therapy is suitable for all skin types. On the day of your first treatment, we will shave the area that needs to be treated. We will then apply the hand-piece to the skin. Some clients have reported a slight tingling sensation on the surface of the skin during treatment. At the end of the treatment, we may apply a soothing gel. You can have your next treatment usually within 4-6 weeks. WHERE IS IT MOST EFFECTIVE? IPL or laser hair removal is an excellent treatment for targeting unwanted body hair. From the sensitive bikini area to your legs, underarms, or even your face, we can help. Does your significant other have embarrassing back hair or too much chest hair? Laser hair removal is one of the leading techniques for helping with this. The staff members is highly trained and specialise in treating men and women, covering all skin types and hair types that we see in Pakistan. With minimal downtime and highly effective results, you could have long term hair reduction in just a few sessions.